ROBERTS, Charles G.D. In Divers Tones. Boston: D. Lothrop, (1886). First edition. 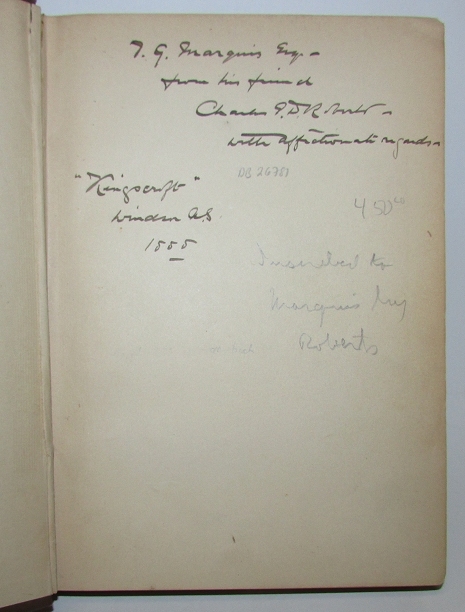 With a presentation inscription from the author. 8vo., original brown cloth, viii, 134, (2)pp. ads. Some light wear to the spine ends but still near fine.